One of my more fun experiments in photography was playing with mirrors and scarves. 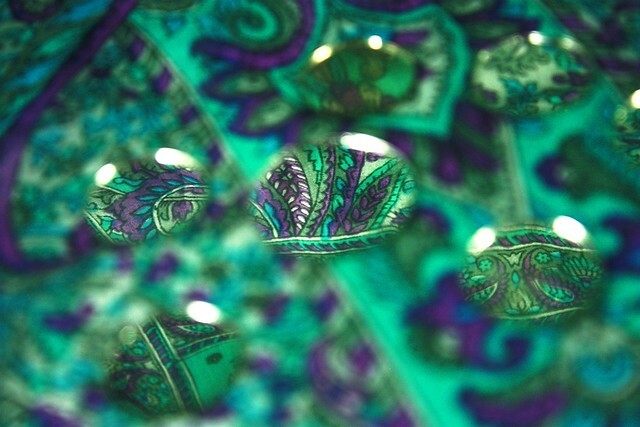 I was able to focus on only these small flat mirrors and grab the reflection of the scarf that was hung on top. It gave a very eclectic and abstract look which I'm hoping to play around with in the very near future. I wasn't expecting the blur on the edge of the mirrors--they almost look like water drops too. Any plans for the weekend? I'll be taking my bike out to an Instabikemeet. Kind of excited to Instagram and go biking at the same time! Woo!